A Q&A with the State Senator on why he created this event. We as Americans owe our veterans more than we could ever give. They serve our country to allow us to continue searching for whatever our own interpretation of the American Dream may be – even if it means giving up their dreams and their lives for bigger pictures that they will never get the opportunity to see. A simple "thank you" sticks in our throats and turns to ash in our mouths; a paltry sentence to convey the full extent of our gratitude, yet two words that seem to be enough in the eyes of one who has given so much for our country and its citizens. The Veterans Resource Expo 2014, presented by Sen. Sean D. Wiley and the Vietnam Veterans Memorial is serving as one large, all-encompassing "thank you" to veterans in the Erie community. Taking place at the Hammermill Center of Gannon University on Thursday, April 24 from 10 a.m. to 2 p.m., the expo offers local resources to support veterans and their families in areas where they need it most. Jessica Courter: What sort of challenges do Erie veterans face, and how do these challenges compare to similarly sized and even larger cities? Sen. Sean D. Wiley: Erie veterans face the same challenges as veterans in small and large cities across the United States. Coping with post traumatic stress disorder, re-entering the workforce, substance abuse, and housing placement are just a few challenges that veterans face. JC: What kinds of resources are available for veterans in Erie? SDW: Erie offers veterans a variety of resources. There are community organizations that assist veterans in the areas of housing, basic needs, resource access, health, family and social matters, mental health, finance and benefits, education and training, employment, and substance abuse. The Veterans Resource Expo will showcase 78 community organizations that offer such. JC: What role does a veteran's age and gender play on some resources offered? SDW: Most resources offered do not discriminate age or gender. However, there is a distinction of needs between older and younger as well as male and female veterans. For example, older veterans will have a greater need for senior housing and younger veterans will have a greater need for job placement. Additionally, there are support systems in place that cater specifically to male or female veterans relating to counseling services and rehabilitation. JC: Not being a veteran yourself, what got you interested in veteran affairs and what led you to create this Expo? SDW: I come from a long line of veterans. My grandfather served our country in World War II and my father and uncle both fought in Vietnam. I have witnessed their dedication to this country as well as the impact of war on their daily lives. When I was newly elected to the State Senate and decided to create nineteen Senatorial Advisory Committees, I knew it was paramount to include a Veterans Affairs Advisory Committee. My Committee informed me that there are several resources available that veterans may not know about. That is why the Veterans Resource Expo was created – to get the word out. JC: How did you identify these areas of focus and why do you see these as key resources veterans and their families need access to? SDW: The areas of focus were identified based on discussions with my Veterans Affairs Advisory Committee which is made up of mostly veterans. I trust their judgment on what veterans need assistance with and what is available to them. JC: Your Chief of Staff and his spokeswoman also said last September that you hope the Expo attracts between 400 and 500 people. Are your expectations the same as the date approaches? SDW: It is my hope that we will see 400-500 people. This is our first year, so it is difficult to predict attendance. However, we have great community support. Local media provided free advertising, Lamar Advertising provided free digital billboards, EMTA will provide free bus service to veterans the day of the Expo, the Erie Parking Authority will provide free ramp parking for attendees at Seventh and Peach streets, and Gannon is providing the venue – the Hammermill Center – at no cost. It is my hope that all veterans in the Erie area will hear about and attend the Expo. JC: What do you believe to be the most crucial issue that needs to be addressed in aiding veterans in Erie? SDW: Every issue that affects a veteran is crucial to both them and their family. I do not think there is any one problem that is greater than another when it affects someone's life. The most important thing we can do as civilians is to support our veterans and provide them with services that can help them. 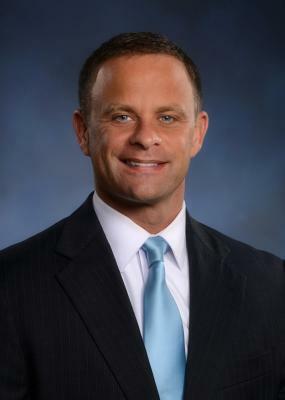 For more information, visit www.senatorwiley.com or call 453-2515. Jessica Courter can be contacted at jCourter@ErieReader.com, and you can follow her on Twitter @JessicaCourter.